Okay, so to you it must have seemed that I've packed up my Mac and completely disappeared from the big wide blogosphere; never to type and share another rant or glory of my daily doings ever again. Well you're wrong my critics! But that's just a little, I promise. Aside from my day job and Thursdays on Football Overload, I've started working on a new travel web series which will be released in a few months. I've just been bursting inside to talk about this travelogue, but decided it'd be best not to reveal too much before we were at least halfway through production. I haven't really had time to digest the events that have taken place the past few weeks, let alone to share it here on kopsalad, although, trust me, it's always at the back of my mind. If you know of some magic spell or just you know, a smart phone app or something to remind me tomorrow is not a suitable day for doing things that need to be done today, pleeeeease share. On the subject of sharing, I'd just like to share one of my favourite photos at the moment. I was totally overboard with my "OMGs" when I saw it. 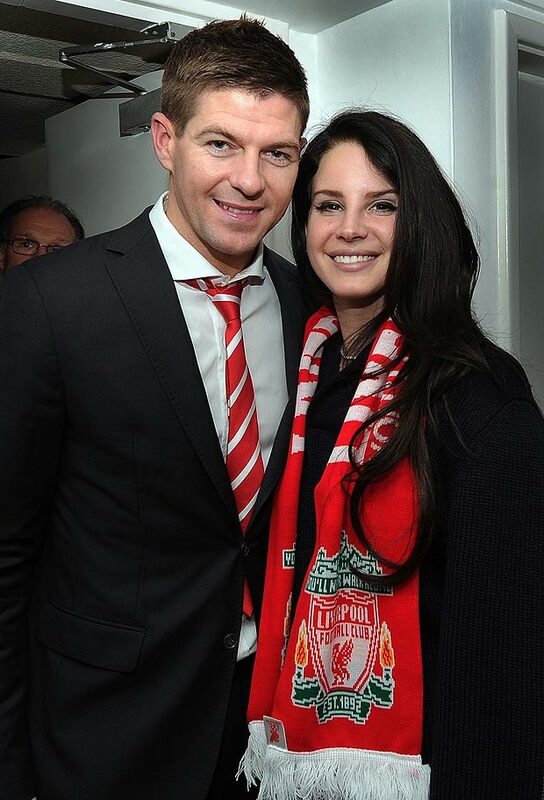 Lana Del Rey was at Anfield! With Stevie G! As if her music alone wasn't enough for me to love her. Although not as much as I loved that match winning penalty by the captain himself.